It feels so great to get the top done! 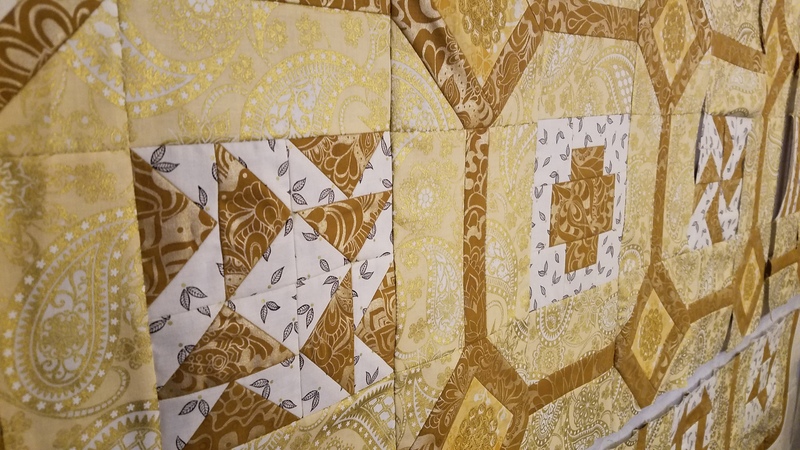 This is such an elegant quilt. I have learned so much putting this together, and there is so much more to learn! I am new to embroidery and the motifs on this are so beautiful. 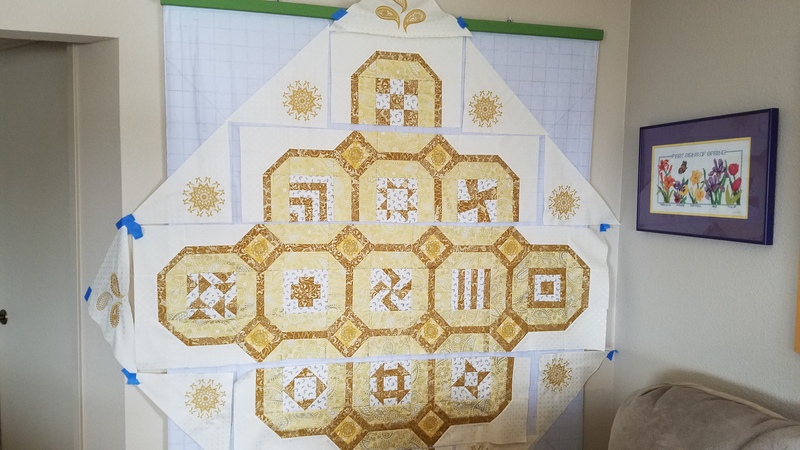 I’m looking forward to quilting the motifs on my 765, it will take a lot of time and effort, but I’m nowhere near using a longarm yet! 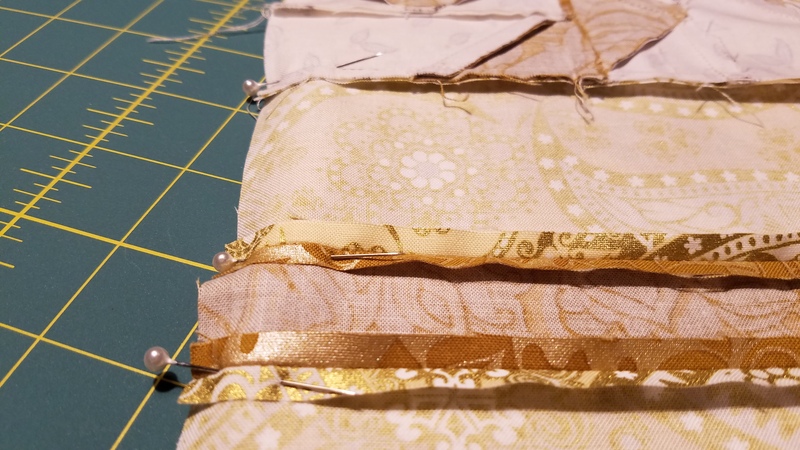 When I first learned how to quilt, I was taught to never press the seams open. 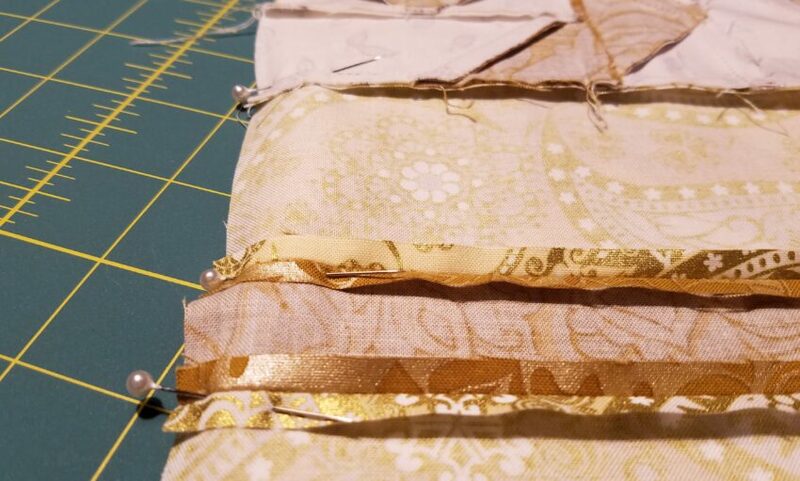 I understand that we need to keep the bulk down, but for the seams that were pressed open on the sashing blocks, it left them vulnerable when it came time to pin and sew together. I had to reinforce the seams so they didn’t split. 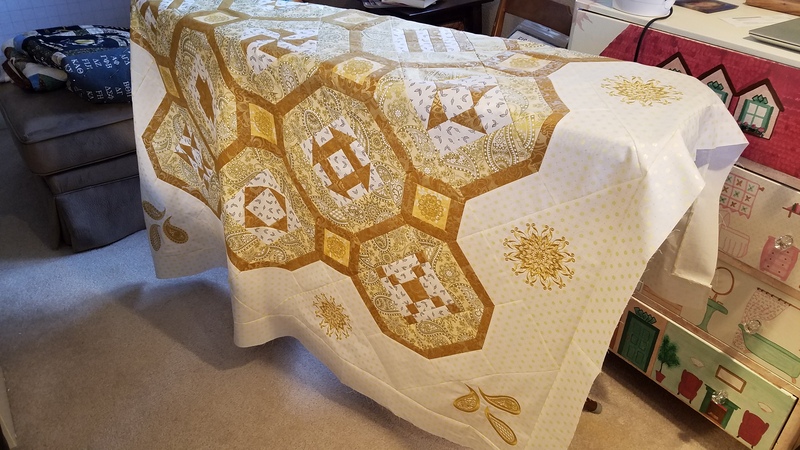 I also made a mistake on the corner paisleys…. 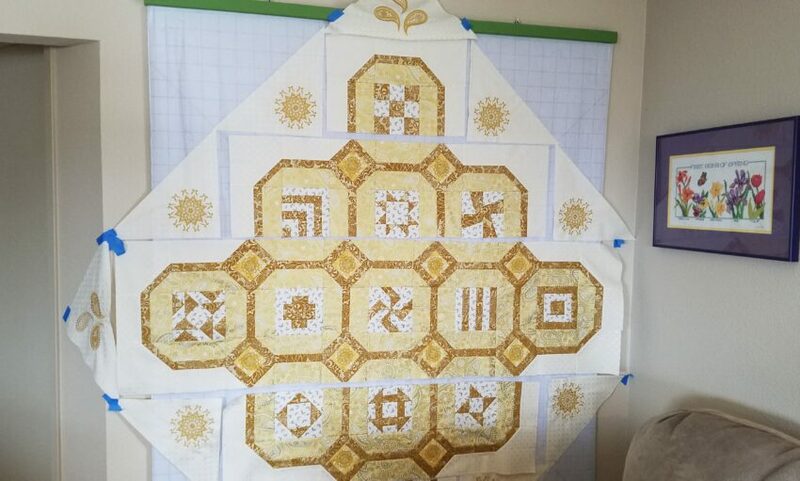 I pulled off the fusible woven (like in the instructions) and trimmed like with the circular motifs. It left the triangles a little soft and puckery. I should have left it on like in her videos. I hope that smooth out later. Now on to find some backing fabric! 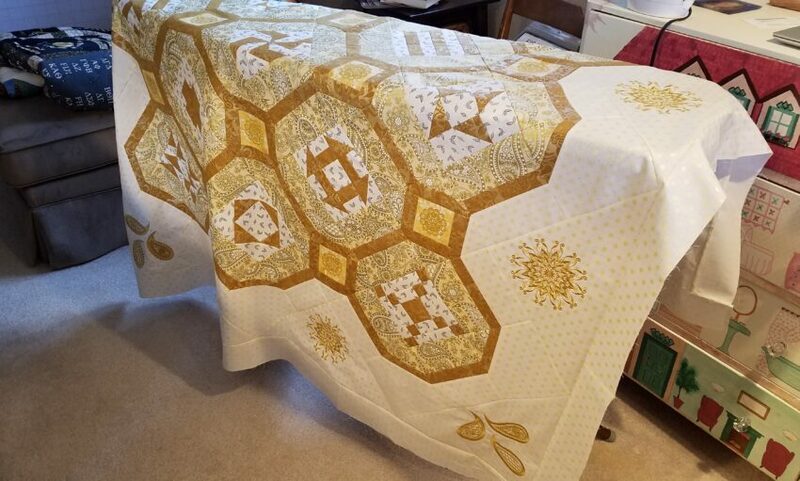 My local store doesn’t carry the fabric for this project — yet — but they are getting ready to start a class on the Jubilee quilt so I’m hoping some comes in soon! We’re in the middle of a winter storm, so I’m gonna stay inside where it’s warm. Next Next post: Starting the longarm process. Looks like a fun one. Where is Fabric G used with the embroidery? 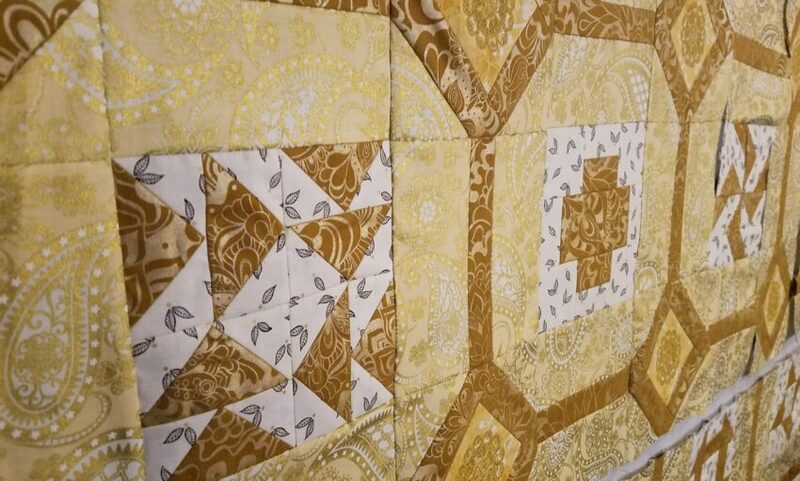 It’s only 1/2 yard, and I don’t see it in any of the pictured quilts . . .
I’m enjoying learning the new techniques involved in this Anniversary project.